Zucchini Bread: Top slices of zucchini bread with cream cheese and make into a sandwich. This bread is also great for a quick breakfast or packed dessert. 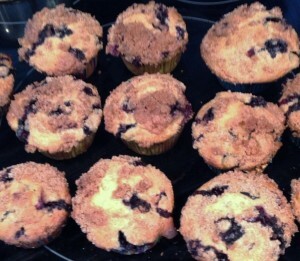 Blueberry Muffins: Aldi had fresh blueberries on sale for $1.29 so I stocked up. I baked half of the muffins and froze the other half of the batter to make fresh muffins later. I pair a muffin with a cheese stick in place of a sandwich. 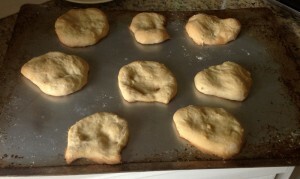 Mini Pizza Crusts: I try to always keep a bag of these mini pizza crusts in the freezer. Then in the morning, I pair 1-2 crusts with small containers of pizza sauce and cheese. These homemade Pizza Lunchables are a hit! What are your favorite tips on making lunches easier to pack? Good Morning. Your post made a light bulb go on over my head. I did not know that you could freeze muffin batter! Do you have any general tips as to how to freeze and how long it takes to thaw the batter to baking consistancy for the batch[es] you bake? What a great idea! what zucchini bread recipe do you like?